Get a trendy look for your casual outing wearing this gleaming peach-cream colored saree. 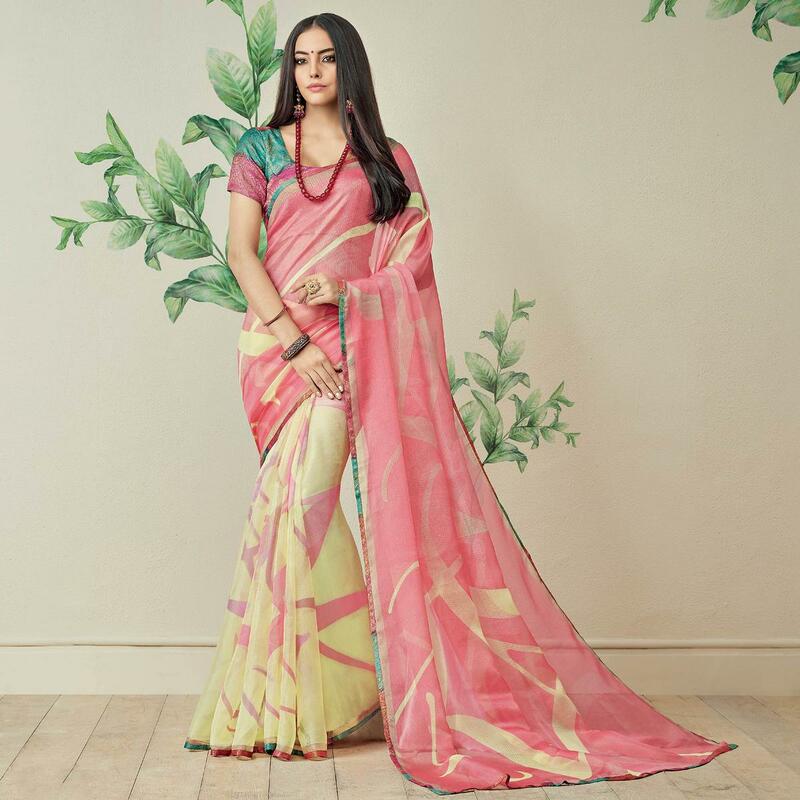 This saree is made from jute art silk fabric which is highlighted with beautiful print work. Paired with art silk unstitched blouse piece, which can be stitched as per your requirement. This saree is comfortable to wear and care. You can wear this saree for casual outings, office, regular social meets and other homely events. Pair it with stylish accessories to complete the look. This attractive saree would surely attract you showers of compliments.